If you are like most of the guys out there hoping to have a great looking physique FAST, this is a must-read article for you. I believe there are many guys like I used to be, going to the gym regularly for some time, yet do not see results. Or, you are a hardgainer, no matter how you train and eat, you still seem to be skinny. Then, you definitely need to check out the big 4 exercises which will help you to pack on muscles in the shortest possible time. 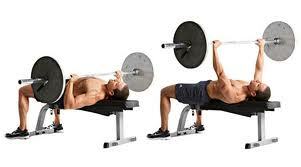 Basically, compound exercises are movements that work several muscles or muscle group at the same time. By doing the compound exercises, you build the most muscles and strength as well. These exercises are really suitable for those who wish to increase maximum muscle mass as soon as possible. a) Grasp your barbell with shoulder width overhand grip and stand with your feet shoulder width apart. b) Use the momentum of the movement to raise the barbell toward your chest by pulling your elbows up. d) Then, lower the barbell back to your chest and back to the floor under strict control. e) You are back to the starting point and ready for another repetition. Muscle targeted: lower back, lats, hamstrings, glutes, abs, and basically everything! a) Prepare and stand in front of a barbell. b) Bend your knees and grasp the bar using a shoulder width grip. Keep your back straight throughout the exercise. c) Start the lift by pushing with your legs, not pulling the bar from the floor. Get your torso to the upright position while you are lifting. When you are in the upright position, stick your chest out and bring your shoulder blades together to contract your back. d) Then, reverse the movement while slowly lowering the barbell. e) Lastly, get back to the starting position in (b) and you are ready for another repetition. a) Stand with your chest held up and out, head facing forward and place your feet at shoulder width. 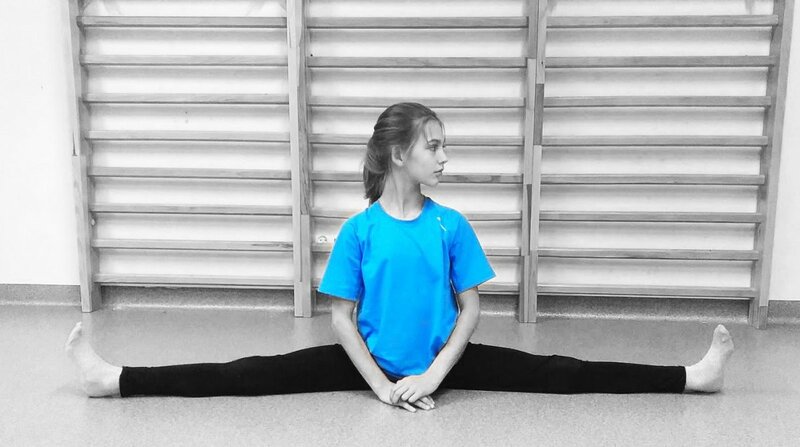 b) Extend your hands straight out or any position that will help to keep your balance. c) Squat like you are trying to sit on an imaginary chair. Keep your eyes looking forward and let your lower back to arch slightly rather than letting it round. e) Lastly, push up off your heels and bring yourself back to the starting position in (a). You can start using weight when you know the form well. Muscle targeted: pectoral muscles, shoulder, triceps, abs, and even biceps as well. a) Lie flat on the bench. Grip the barbell slightly wider than your shoulder width. b) Squeeze your shoulder blades together. Your back, feet and shoulders should be firm and sturdy. c) Next, slowly lower the barbell down to your chest. Pause right before the barbell touch your chest. d) Then, slowly raise the barbell up. e) Repeat for your desired repetition. The Big 4 is undeniably great exercises if you wish to increase power and strength. 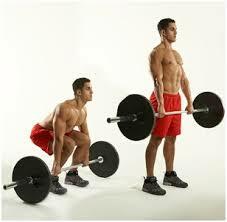 In fact, research has shown that growth hormone level is much higher after performing these exercises. A higher growth hormone level means greater muscle stimulation and thus growth. The clean and press, deadlift, squat and flat bench press also strengthen your easily-neglected stabilizing muscle, which will greatly decrease your chances of getting injured. 2) Listen to your body – if you feel any pain throughout your workout, stop immediately. And when I say pain, I meant the pain in your tendons or joints, not your muscles which are supposed to feel sore. 3) Make sure that your form is correct – this will not only reduce your risk of getting hurt, it ensure you get the best result. 5) Lastly, eat big, lift big. Please leave your comment below if you have any question or opinion. Thanks. Compound exercises are the most efficient exercises. Great instruction and description. Keep up the good work! Voted up! The video instruction on the barbell press was excellent because it explained in detail how to avoid injury and how each movement has to be prescribed precisely for your body type. Very good article, I'm trying to gain more mass myself. When you say "eat big", how big of a meal you talking?